Field of Dreams Nurture and Education Center offers high quality child care in a nurturing and fun environment and at a price less than Charlotte alternatives. We have taken the best concepts of many childcare centers in North and South Carolina and combined them into our facility design. We have worked with leading authorities in early childcare and education and have incorporated many of the latest concepts into our program and curriculum. Maura Kelly has worked with our Field of Dreams schools since their opening in 2005. Maura has a Masters Degree in Early Childhood Education from the University of South Carolina. She previously worked as the Director of York Technical College’s Lab School. While at York Tech she taught in the Early Child Department for 9 years. She has worked in Early Childhood Education for 35 years. She is married to her husband Randy for 36 years, they have two grown children and one grandson. She enjoys boating, camping, and reading. We are very excited to have Maura leading our talented team. 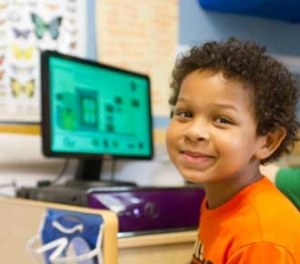 State of the art facility design combined with excellent curriculum and incredible staff allows Field of Dreams to be the premiere childcare center of the Carolinas. We look forward to the opportunity to help your child grow, develop, and dream.